Here is a late entry from Roger Rutz. My computer has not been speaking to me so it took a while to get this pic to Photobucket. 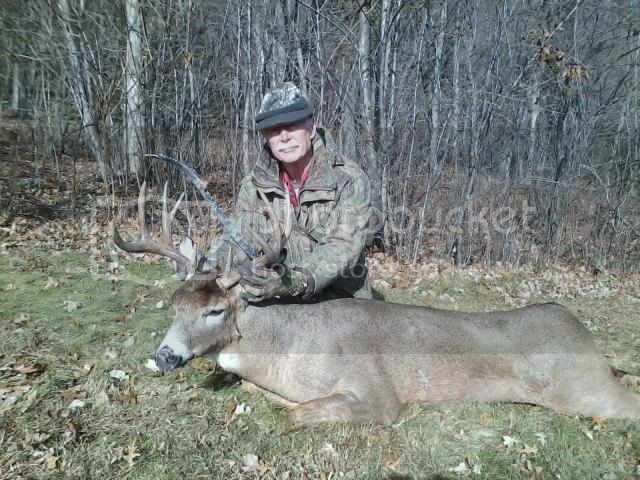 Anyway Roger got this nice buck in his home state of MN during their gun season. How about that for being committed to hunting with stick bows! He had seen this buck three times and passed up others before putting an arrow through his heart. Congratulations Roger!!! Wow... nice buck and a better story on the stick bows! Beautiful Rodger and as so often happens with you a great shot! It's the home cooking that did it for Roger. Congrats!